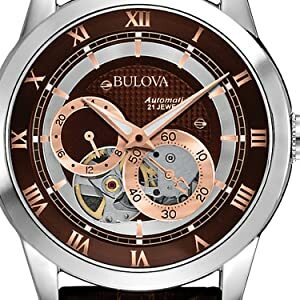 Bulova, an American brand, is known for its innovation, craftsmanship and advanced technology. 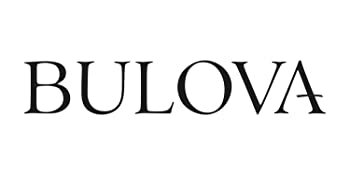 Since 1875, when founder Joseph Bulova opened his store on Maiden Lane in downtown Manhattan, Bulova has remained true to his legacy - mastering the classic art of timekeeping while always embracing the future. 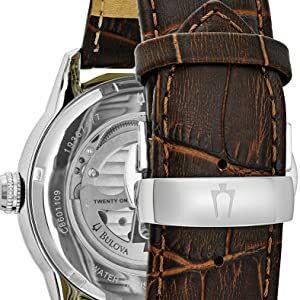 A Bulova Watch is not only a timepiece; it is a piece of history. From the Automatic Collection. 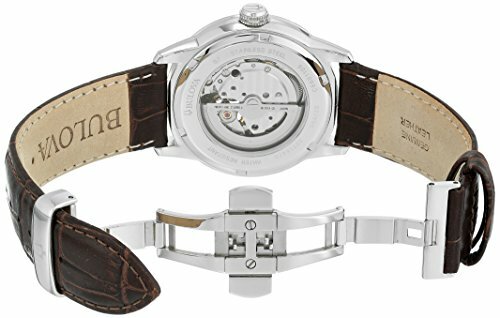 Self-winding mechanical timepiece with 21-jewel movement visible through double on-dial aperture and exhibition caseback. Powered by the wearer's own movement, with no battery required. 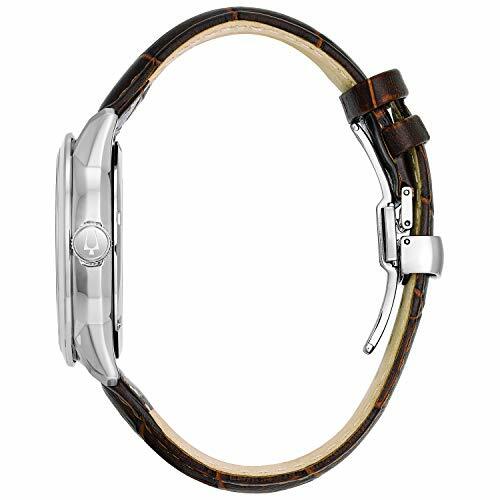 Brushed and polished stainless steel case measures 42mm diameter by 13mm thick. 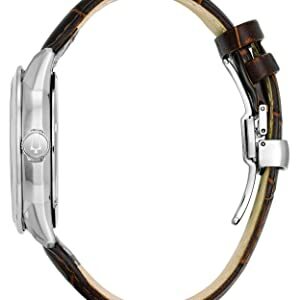 Genuine leather strap includes a special deployment clasp. 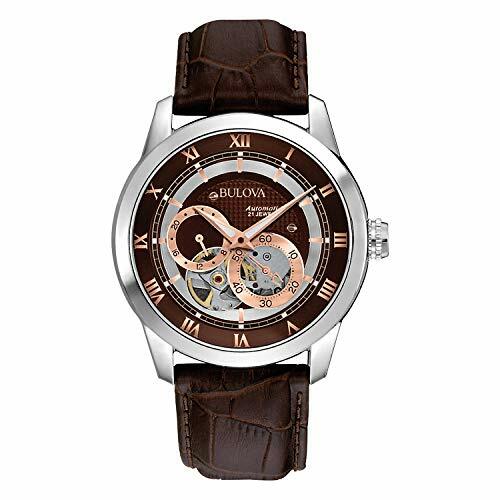 Patterned brown dial has classic rose gold tone luminous hands. 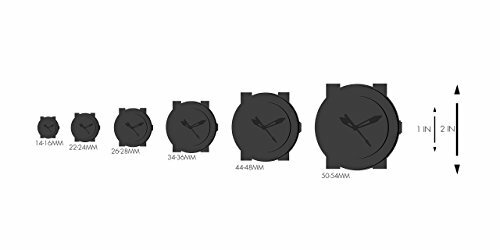 Roman numeral hour markers make this handsome watch absolutely stunning. Skeleton sub dials allow you to see the wonders of the precise Automatic movement within the case. Twenty-four hour and seconds sub dials. 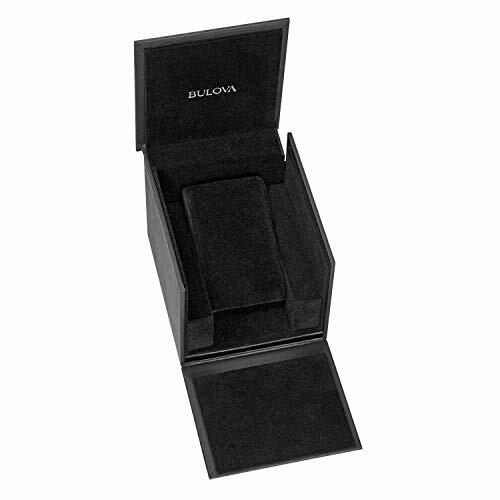 The scratch resistant mineral crystal protects the water resistant case. Marvel at the inner workings of this dual aperture dial self winding mechanical from the BVA Series, featuring clear exhibition caseback. 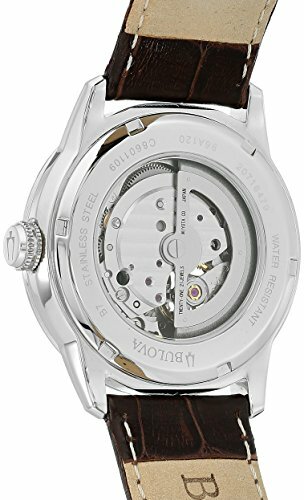 The 21 jewel self winding movement means battery-free operation and provides for years of reliable service. 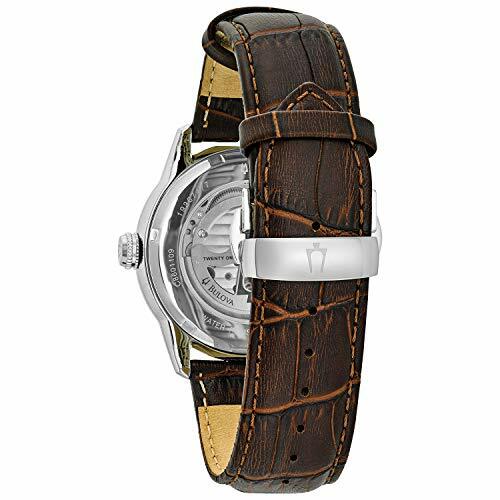 The warm brown dial includes a wealth of details including roman numerals, minute track and 2 sub dials. 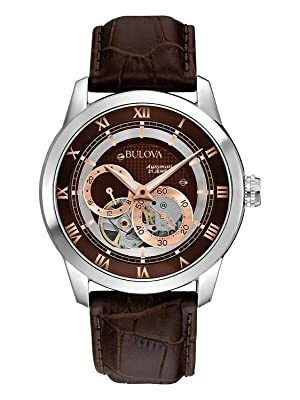 All stainless steel case and leather construction provides hypo-allergenic and durable build quality from Bulova.